Credit Guarantee Insurance Corporation (CGIC), registered in 1956, is the largest (by premium) and leading (approx 73% market share) SA underwriting company in the field of Trade Credit insurance. It is a subsidiary of Mutual & Federal which owns 75% of the company, ultimately making it part of the Old Mutual Group. Atradius NV, the second largest credit insurer worldwide owns the remaining 25%. The South African Institute of Chartered Accountants (SAICA), South Africa’s pre-eminent accountancy body, is widely recognised as one of the world’s leading accounting institutes. The Institute provides a wide range of support services to more than 40 000 members who are chartered accountants [CAs(SA)] and hold positions as CEOs, MDs, board directors, business owners, chief financial officers, auditors and leaders in their spheres of business operation. Standard Bank Group is the largest African financial services provider by assets offering a full range of banking and related services. Standard Bank South Africa is the largest operating entity of the Standard Bank Group. In South Africa, Standard Bank provides the full spectrum of financial products and services. Standard Bank’s Personal and Business Banking unit offers banking and other financial services to individuals and small-to-medium enterprises. Adams & Adams is an internationally recognised and leading African law firm that specialises in providing intellectual property and commercial services. The firm’s leadership position is reflected in the ground-breaking work we do, the valuable client relationships we have and the quality of our professionals. Our professionals specialise in various legal and technical disciplines in intellectual property law, commercial and property law, and litigation. Our Intellectual Property law practices work with clients around the globe and across many industries to protect, enforce and commercialise their intellectual property including trade marks, patents, copyright and designs. 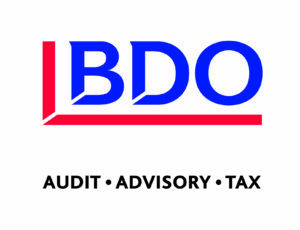 As a business partner, BDO offers a range of audit, tax and advisory services to companies and individuals. We allow our clients to sleep easier at night, knowing that their essential financial issues are in professional hands. Our SME offering – BDODrive – aims to reduce the administrative burden on small business owners, entrepreneurs, trusts and individuals by providing real-time, relevant financial information about their business to help it grow. We are your trusted business adviser on your journey to growth. GROW is SA’s premier business coaching firm, dedicated to assisting established businesses scale up. We’ve helped high-growth entrepreneurs develop strategies to increase their profits and grow their people, while decreasing their stress and frustrations. Our coaches are proud to be working with over 85 Scale Up businesses every month. 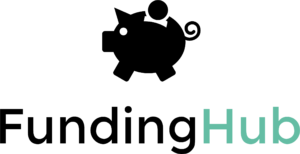 FundingHub (#FundingHubSA) is the leading South African online credit marketplace aimed at SME’s that require funding to grow and expand their businesses.The free, simple-to-use website guides the business owner through a questionnaire about the relevant financial details. In October 2013, the Office of the Tax Ombud was established in terms of the Tax Administration Act (Act 28 of 2011) to strengthen taxpayer’s rights and provide taxpayers with recourse if they were unhappy with complaints relating to service, as well as procedural and administrative issues from SARS. The OTO is an independent avenue that provides a simple, free and impartial avenue for resolving taxpayer’s complaints after they have exhausted the internal complaints mechanism of SARS. Nabucco Business Strategies (Pty) Ltd has over the past 15 years been mandated to source and sell businesses across a wide spectrum of industries to meet established investor requirements. Our team lead the required professional standards needed to focus on sustainable SME transactions which provides a win win solution for all concerned. We welcome the opportunity of discussing your specific requirements..
Telkom is a leading communications services provider in South Africa. We serve a large range of Business and Residential customers, and we have all the key components of true convergence, enabling us to offer integrated voice, data, fixed, mobile, IT and data centre solutions to Small Businesses. Page Automation is an independent supplier and distributor of selected money handling equipment, document delivery, storage solutions and office automation products including multifunctional photocopiers, laser printers and consumables. The company has offices in Johannesburg, Pretoria, Cape Town, Durban, Bethlehem, East London and Pietermaritzburg as well as service centres located countrywide.